The leaves are finally turning brown, and the Swedish golf clothing brand Galvin Green has released its 2018 Autumn/Winter collection. We have taken a look at their 2018 catalogue to create this Galvin Green Autumn/Winter 2018 review and help you decide which items you should be adding to your golf clothing collection. Galvin Green is renowned for high-quality golf gear that’s not only stylish but offers the protection you need when the weather is not ideal. Newly introduced in 2018, the Galvin Green Edge collection can be worn by all age groups, but it’s particularly popular with the younger golfer with a sense of fashion. 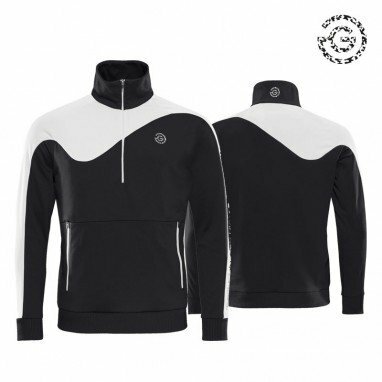 We have added the E-Insula Wave in our Galvin Green Autumn/Winter 2018 review as the pullover is idea to wear on the golf course, but it will offer you a stylish look off the course as well. The collection is featuring the Galvin Green Insula technology, having in-built pockets which offer the player long-lasting thermal insulation against the bad climate, making it perfect for the colder seasons. This high-quality golf gear is also highly breathable and windproof, so the player can focus on the game and not be distracted by the weather. Incorporating the new Galvin Green Interface-1 technology, the E-Cam printed jacket is not only fully waterproof, but it also features a double layered collar which will offer the player warmth and comfort. Totally windproof due to the lightweight hybrid technology, this golf jacket has a luxurious feel which combines style and practicability. 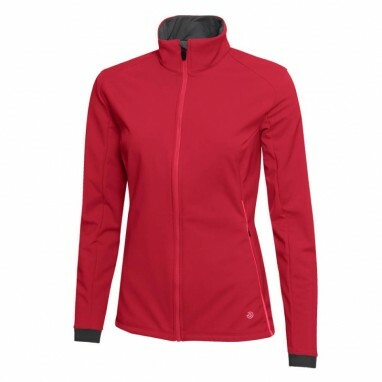 The jacket comes in black, and it features stylish red accents on the wind panel. It also features rib cuffs and front pockets, so the player can benefit from maximum comfort. If you are looking for the perfect pair of golf leggings that will keep you warm but are also comfortable and breathable, the Gavin Green Elof leggings are the ones for you. The light and airy material is the result of the advance fibre technology which will give a player maximum comfort and warmth even in the coldest climates. The leggings are made from 95% Polyester and 5% Elastane and come in two different colours, red and black. Next in our Galvin Green Autumn/Winter 2018 review is outerwear for the woman who wants to make a statement on the golf course. 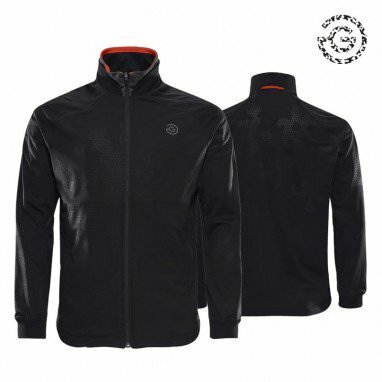 The Liv jacket by Galvin Green features the new Interface-1 technology, designed for optimum performance and comfort. Lightweight and highly breathable, the Liv jacket is also totally windproof and it benefits from a water repellent coating. You can choose to get it either in black or rose and it comes in a wide range of sizes, from XXS to XXL. This stylish gilet jacket again features Galvin Green’s innovative lightweight technology that provides players with comfort and protection against the bad weather. The Lola jacket is breathable, water repellent and windproof, allowing the golfer to play at his or her maximum capacity regardless of the climate. 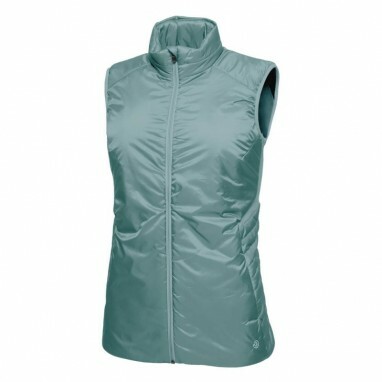 The sleeveless jacket comes in two colours, Sea Pine and Navy and the sizes range between XXS to XL. If you are looking for the perfect pair of golf trousers, the Galvin Green Nadine Ladies Trousers might just be the ones. Featuring Galvin Green exclusive VENTIL 8 PLUS technology, these golf pants are very stretchy and breathable. The highly innovative technology will allow the trousers to always retain their shape, offering the player maximum comfort, while always looking brand new. If this isn’t enough to convince you these are the perfect golf trousers, Galvin Green’s Nadine Trousers also feature UV20+ protection, keeping the player safe against harmful rays. They come in 5 colours and a wide range of sizes. At what age should I introduce my child to golf? 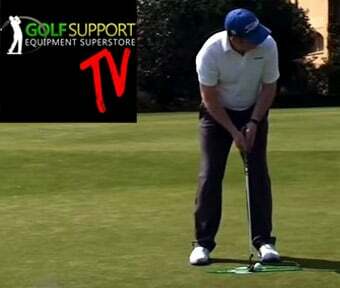 Your number one online golf equipment superstore.